I don’t aver to being perfect. But I do make every effort to be responsive, dependable and considerate of those with whom I work. Having worked in a number of customer service related positions over the years, I found this to be THE most important facet of the job. 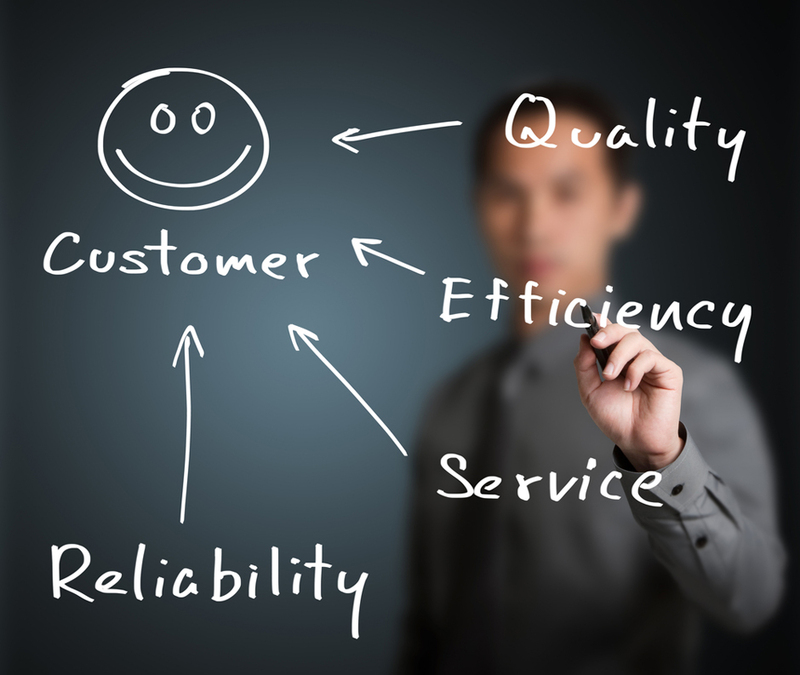 Customer service equals dependability, responsiveness and timely consideration. I am generally a pretty jovial and upbeat person. There is really not a great deal that gets me down or upsets me. Sure, like others, there are things that disgust me and things that aggravate me. But they typically fly right by. What DOES get my goat is when people I work with don’t follow through and meet their commitments or get promised materials to me AND don’t let me know that they can’t get it to me in a timely fashion. It is frustrating, especially when one has set a plan on a project and the project gets held up. Companies fail due to poor customer service. And who is the customer? 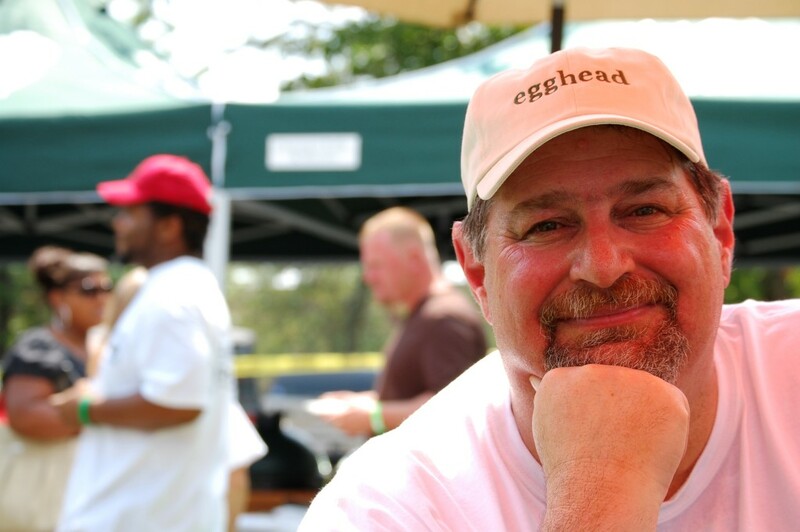 The customer is the END-USER…. So, if I am working with someone on a project and they commit to getting something to me by such and such a date, I am the customer. If they can’t get it to me on time, then at least they could have the consideration to let me know. Things come up. They do for all people. They do for me. Humans understand that. The path to the top of the mountain has many stumbling blocks along the way. Some are easily walked around, some are almost insurmountable. 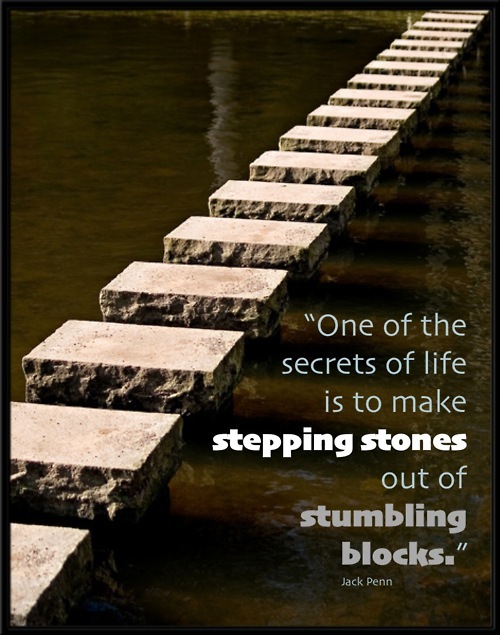 I am about turning stumbling blocks into stepping stones. It is my hope that those out there that have difficulties being responsive, timely and considerate will make those stumbling blocks into stepping stones. 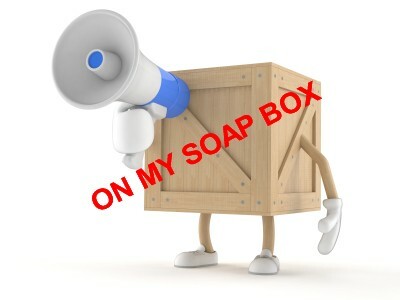 Enough of the soapbox. I shall now return to my regularly scheduled fun stuff…. This entry was posted in Blogging, Business Concepts, Observations, Personal and tagged Consideration, Customer Service, Dependability, Responsiveness, Stepping Stones, Stumbling Blocks, Thoughlessness, Thoughtfullness, Timeliness by sumoflam. Bookmark the permalink. Absolutely, one of my pet peeves is there doesn’t seem to be much customer service these days or at least not good customer service. Nice post, thanks for sharing!